Lefty asks daily to go out and take some batting practice. But sometimes there is just not enough time in the day and the rusty arm is REALLY rusty. I know hitting off a tee is not the most fun drill for a 10-year-old to do, but I encourage him to do it daily. It doesn’t require a lot of space or time or even another person. Lefty takes the tee into the garage and uses wiffle balls. I don’t think young hitters do this enough. Albert Pujols does. 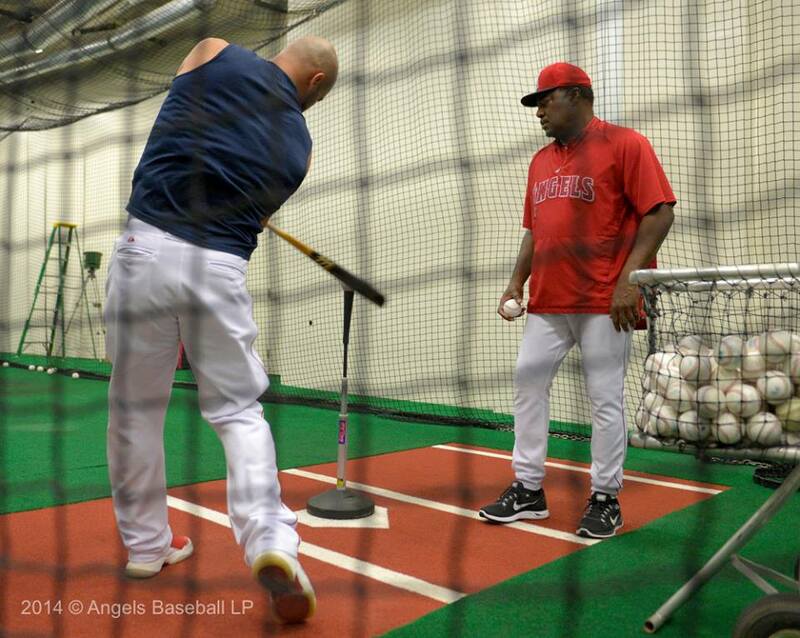 Working out in a standard batting cage, Albert tries to hit the ball toward the right side of the back net into an area about three feet in diameter, 3 to 4 feet off the ground (roughly the same height as a thrown strike). If he were on a baseball field, the balls would be lined through the infield between second base and the second baseman. Excerpt from Hitting Star Baseball Tee it Up…again!